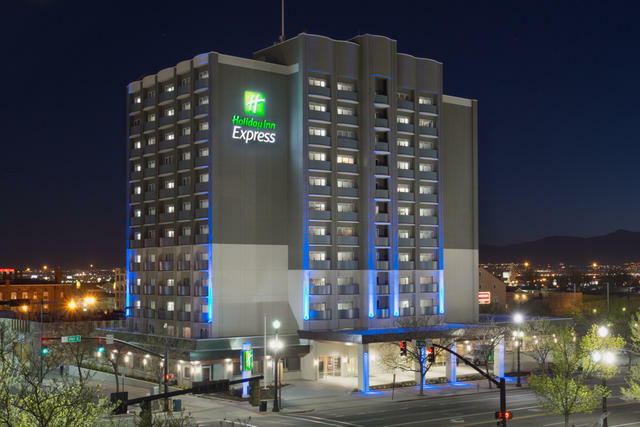 Salt Lake City’s newest and most modern Holiday Inn Express Hotel, featuring the new FORMULA BLUE look designed with smart travelers in mind. Guests will enjoy our fresh contemporary high-tech hotel designed to offer a unique express experience and a great stay in the heart of Downtown Salt Lake City. Our non-smoking Holiday Inn Express offers easy access to attractions including Capitol Theatre, Clark Planetarium, Discovery Gateway Children’s Museum, Energy Solutions Arena, Great Salt Lake, Utah’s Hogle Zoo, LDS Temple Square, Lagoon Amusement Park, The Leonardo Museum, Natural History Museum of Utah, Red Butte Garden, Rose Wagner Performing Arts Center and Utah State Capitol.